All right! If you are seriously aspiring to this exam, then you should not miss this golden opportunity to steer your career towards the generously-paid jobs of junior research fellows or assistant professors. Review the complete CSIR NET Syllabus and list all the topics on paper. Look for the best CSIR NET Study Material, Books and Coaching (only if you want to attend a tutor). When choosing study resources, make sure you cover the entire program. 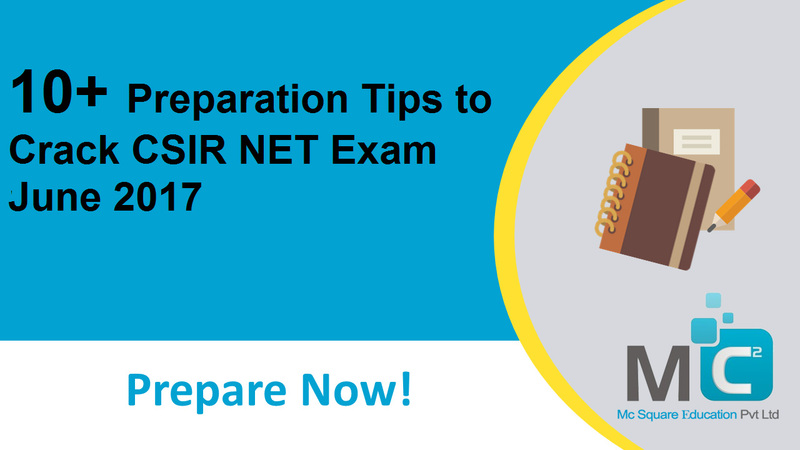 Understand the CSIR NET exam pattern and set your target-to-bag score up to the exam grade. Plan a study schedule to manage your time effectively during exam preparation. Spend at least 5 hours in your daily studies and allocate 1 extra hour for review. Take the important issues at the beginning. And as soon as you complete a topic, review it instantly! Also perform the combined review of the topics you studied throughout the day, before going to sleep at night. Use the morning hours on topics that you find difficult to learn and understand. Noon Hours should be devoted to topics that can be solved with the help of tricks and short methods. Try to cover your maximum portion in morning and noon hours and spend hours in the afternoon to refine your performance. The best way to polish your skills and improve your performance is to solve CSIR NET's previous years question papers. The exam program is comprehensive and covering each subject is very difficult for applicants. Therefore, solve previous year and filter out the subjects whose frequency of occurrence is greater than others. Start taking CSIR NET Online Test Series, so that, you can self-evaluate your performance and put your efforts to improve it. For best learning practices, avoid cramming and concentrating more on understanding their real meanings and methods. Gather all the prescribed requirements of the CSIR NET Online Preparation and stay focused on your study goals!